So you got engaged - woohoo! Congrats! But now what? Maybe you’ve always known you wanted to elope, or maybe you thought through what a traditional day would bring, and you’re not about it. 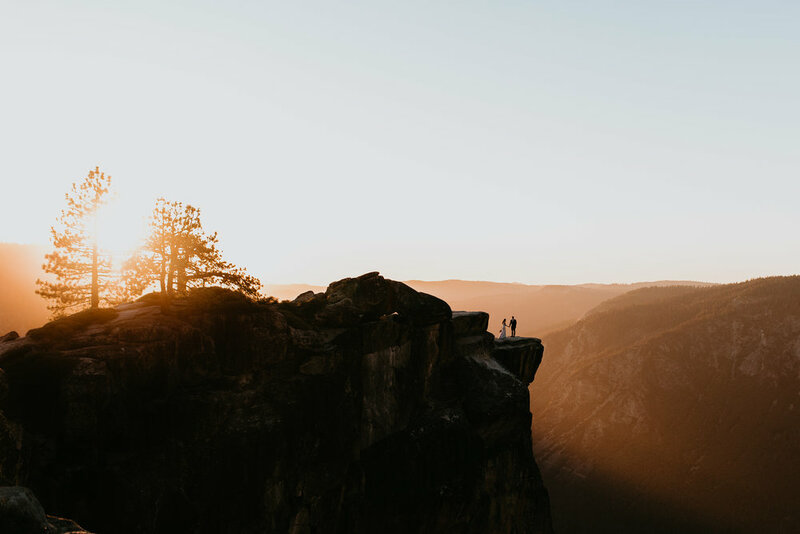 Whatever your reasons are, elopements are fantastic - and I’m here to give you the first steps to figuring out your adventure elopement. It might be helpful to think about WHY you’re eloping, and base some of your decision off that. Are you eloping because you want a day of adventure? Because you want something intimate without guests? Because you want to cut on costs? Whatever your reasons are, take them into consideration, and then plan your best. day. ever. For real. Best day of your whole life. What does that look like? And then add your ceremony at somepoint in it! For a lot of my couples, location is a big part of their decision. Are you guys mountain people or beach people? Are you wanting to keep it domestic, or venture out internationally. Warm? Hot? Cold? Are there any places that are special to you and your person? The beach you first said I love you on? The lake you spent your first date hiking to? The mountains that you go back to every summer? Or maybe it’s a place that you both have never been to before but you’re dying to go to. I think its just as special when a couple elopes in a place they’ve never been - it adds an element of surprise! Think about where you want to spend your day, or at least a general theme (hot vs warm, mountains vs beach etc) and then I can help you narrow in from there. When would it take place? What elements do you want to include? Similarly to the last point, think about what’s important to you. Do you want to have hair and make up done? Being in the middle of Alaska might not be conducive to that (although I’ll try my hardest to find someone!) What do your price points look at for things like your dress or photography? Do you want to have florals or do you wanna keep it simple? Think about the things that are important to you, and how they’d be key players into making your best day a reality, and that’ll help you clear up your list of things to do. My goal as an adventure elopement photographer, is to help you keep this whole process fun, stress free, and exciting. You skipped on the wedding to avoid the stress of planning and pleasing people. This day is about pleasing YOU, and if you find the right photographer, they’ll help make that possible with every bit they can. Helping you to find other vendors, scout fantastic locations, plan this epic day you’re dreaming of, and keep stress at an all time low. Once you have the general answers to the above questions, I can guide you in planning your dream elopement. This is the best day of your life, let’s turn it into a reality! Ready to get the party started?! Get in touch below!